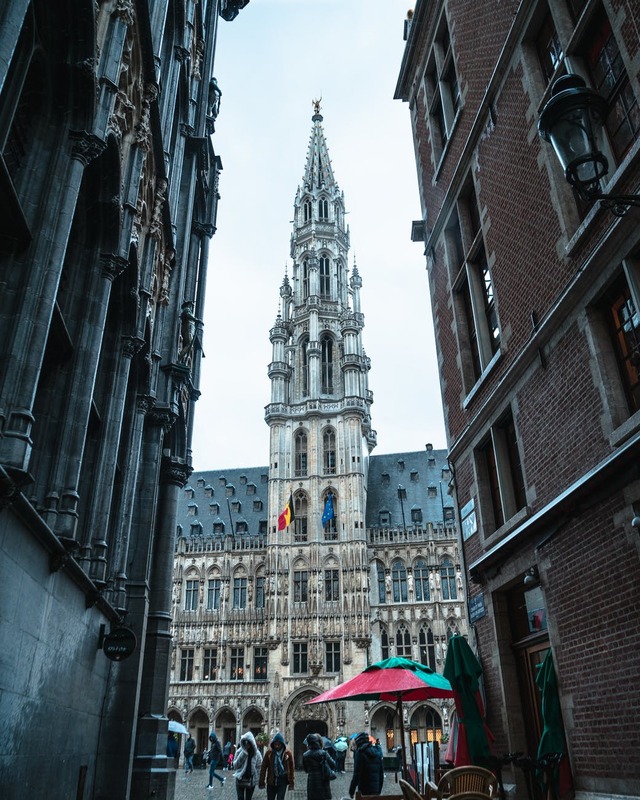 We've put together a guide to Brussels and you'll quickly see why it's one of our favorite places! There are a lot of reasons we love Brussels. The food (YUM! ), pretty buildings, and easy access to all areas of the city are just a few. We think Brussels is underrated and it's well worth a visit. Here is a guide to our favorite must-visit cities! Better start planning and don't forget to take advantage of cheap flights in Europe to help get you there. 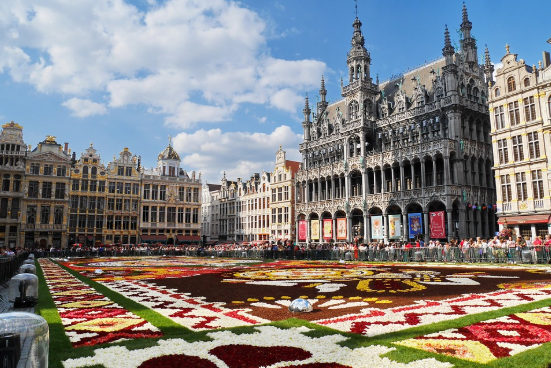 What to do, what to eat, and where to stay in Brussels, Belgium! The Grand Palace is the central square of Brussels. You'll find it full of shops, cafes, flower markets, gorgeous buildings, the Town Hall, and street performers. This is the ultimate place to people watch and soak in the culture while in Brussels. This is the main attraction, so don't miss it! Every two years the Grand Palace houses the "flower carpet" which is nearly a million flowers laid out into beautiful designs resembling a giant carpet. Do a little Google search to see when it is and cross your fingers that you'll be lucky enough to catch it! Good to know: Visit The Grand Palace early in the morning and it is magical. Around 7 am you'll have the place to yourself which means perfect photo ops. Want to be shown the sights and learn the cool history? Take this free walking tour (they won't say no to a tip though!) and learn all about Brussels. There are other walking tours in the city but Visit Brussels is the free one. Address: Meet in the Grand Palace square and look for the tour sign. It should be easy to find! The Du Jeu De Balle Flea Market is a must visit. With everything from clothes to antique knick knacks, you'll stumble upon some really unique finds. The market is open every day of the week, but weekdays are the best time to go as it isn't so crowded. This is a small square off of grand square that is full of graffiti, wall art, and street artists. If you're looking for art to grab as a souvenir, this is a good place to stop! There are other small streets in the area that street artists set up on, so walk around and see what you find. With so much to see and do in Europe, it would take a LONG time to actually do it all. Visit mini Europe to see all of Europe's landmarks made miniature. You can walk through them all and take all the selfies your heart desires. Hours: Hours vary depending on the season. Check them out here. Honestly, this is something you just have to see for the sake of saying you saw it. It's a huge tourist attraction and Brussels calls it their "symbol to the world". The statue is simply of a little boy peeing and will often be dressed up in different outfits for special occasions, so give it a visit and see what you find! Address: Look for a crowd of people taking pictures southeast of Town Hall. 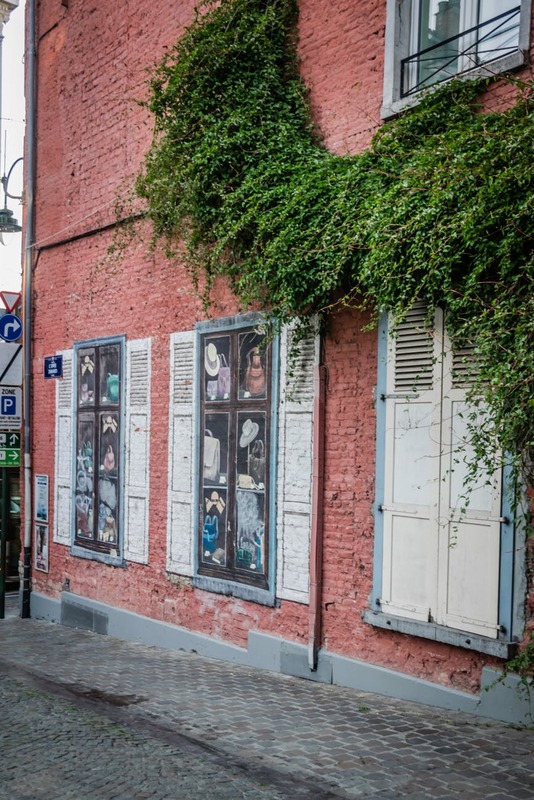 This museum showcases the work of Magritte, a famous artist in Belgium, and is the most visited museum in Brussels. Magritte's work is abstract and unique making it unlike other art you've seen before. Address: Koningsplein 1 Place Royale. There are three things you have to try while in Brussels. Frites, chocolate and waffles. This is the classic experience here and you won't find a shortage as you are exploring Brussels. Stop at cafes and street carts as you walk around Brussels to find your own, but here are a few favorites to point you in the right direction. 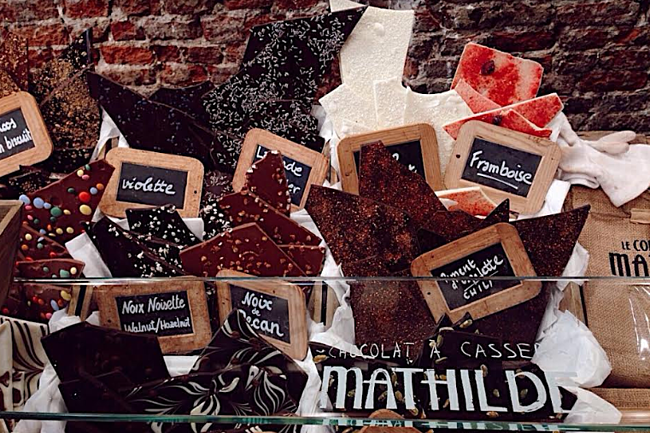 Did you know Brussels produces 220,000 tons of chocolate per year?! Seriously. You have to try some while visiting. Here are a couple of the best places in town. Zaabar offers some of Belgium's most authentic chocolate. With tons of flavors (luckily you can sample all of them!) you will have a hard time choosing what your favorite actually is. They also offer classes where you can learn how to make their chocolate and you get to make it alongside them. Sign me up! Get cozy in their cafe and get ready to fulfill all your sweet-tooth dreams. Not only do they have yummy chocolate, but lots of desserts as well. Grab a couple and split them with your group; you're going to want to try as many as possible. Frites are what we would call "french fries" but, they are SO much better in Belgium. They are fried to perfection and topped with yummy sauces making them the best fries you've ever had. Don't let the small hole-in-the-wall shop fool you. These are the best frites in Brussels (and the long line supports that!). With huge portions and an insane list of sauces you'll be extremely content with these in hand. *Try the Brazil sauce. A lot of people claim this as their favorite. This is another favorite that you can't go wrong with. Served in a cone, these frites are thick and warm making all your dreams come true. They have dozens of sauces to choose from too — good luck choosing! Don't love waffles? Your mind just might be changed while in Brussels. Many people comment that the air smells like waffles as they walk around the city and we are sooo okay with that. You can find yellow waffle trucks throughout the city or visit these restaurants to try some. Mmmm, these are a favorite of locals and visitors alike. Their slogan is “We want to make your senses twinkle and dance.” And they will do just that. With fresh and rich toppings you could eat here every meal and be happy. 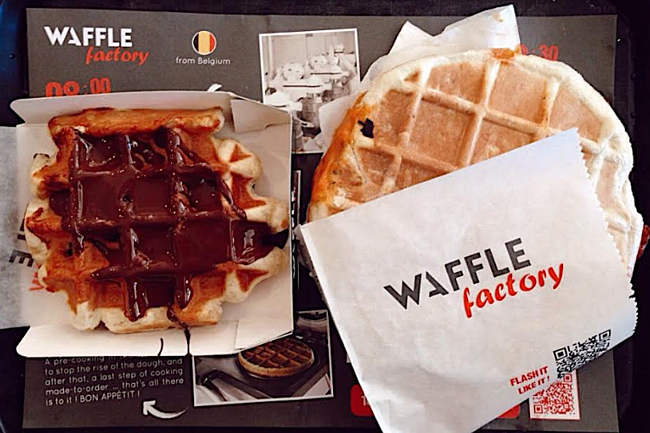 You can't go wrong with anything on the menu at The Waffle Factory. Their sweet waffles are incredible and they also have savory crepes with meat, cheese, and even curry! Make this stop and get ready to stuff yourself. The most cost effective way to stay in Brussels is staying in a hostel. There are plenty of options for nicer ones and prices on average are $25 - $35 a night. Here are a few you should check out! Hi Hostel is a great place to stay if you want to be close to the heart of the city. It's super simple ... but clean, and has all of the necessities you need for a great trip. They also offer free breakfast and the staff can help you with booking excursions around the city. Residence Les Ecrins feels more like a home than a hostel and is extremely close to the center of town. They don't offer dorm rooms and instead you can get a private room for up to four people. It is a little pricier than some of the other hostels, but has awesome reviews. Price: Splitting a room for four ends up being about $42 a night. Located right near the flea market and tons of antique shops this hostel lives up to its location and is super charming. The decorations and rooms are decorated in antiques and the feel is special. Although it is decorated with "old stuff" the hostel feels clean and new. 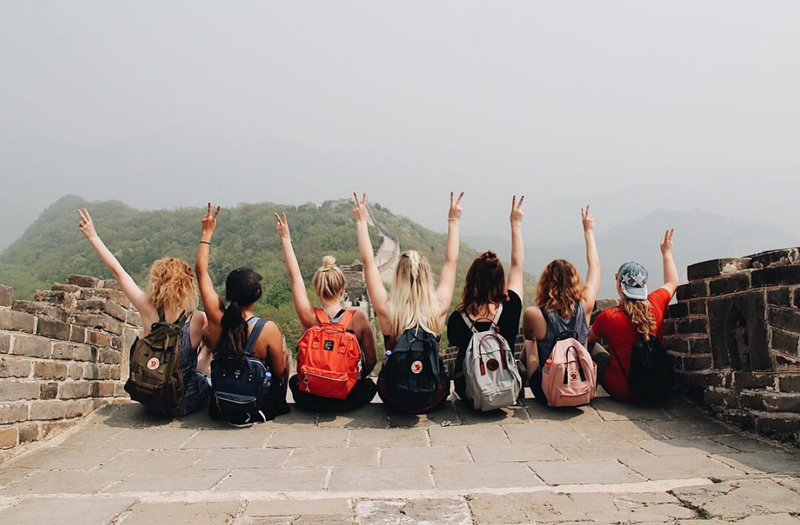 Volunteering with ILP for a semester gives you the opportunity to not only travel to incredible places, but to serve others! Click the button below to talk to a representative in the office who can answer all your questions about what a semester is like!